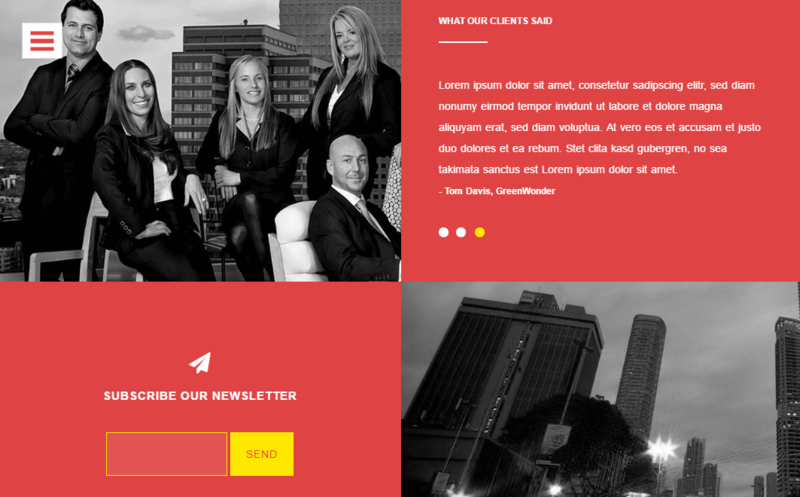 JohnDoe is a free HTML5 Bootstrap template crafted nicely. 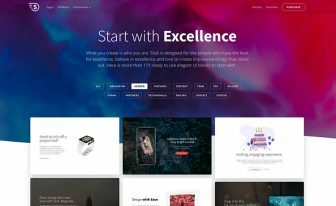 A clean & elegant free one page portfolio website bootstrap template for showcasing works, projects & representing your skills. Freelancing is the most popular buzzword in today’s commercial world. If you are good at something and want to work from home, then you know what the word “Freelancer” means. People like you are more interested in freelancing because it has more benefit over office business. To do so, you need a place where you can show to your client in which you are good at and what you want to do or even showcasing your previous works or projects. So, you need a site for online presence. 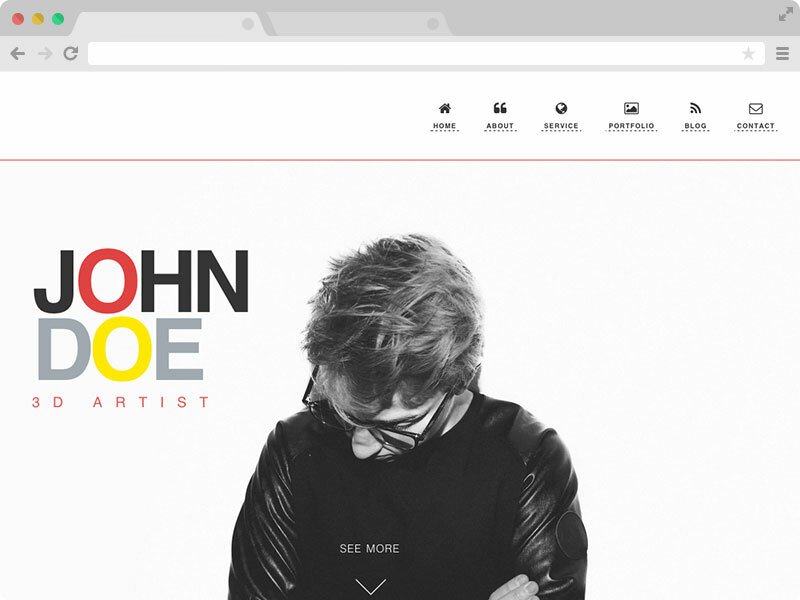 Here we are giving you John Doe– Free Responsive HTML5 One page Template for your complete portfolio or resume. This HTML5 Template is free for personal and commercial use, please don’t remove the ThemeWagon credit link from this free HTML5 template. John Doe has an unusual classic design that surely will catch your clients attention. 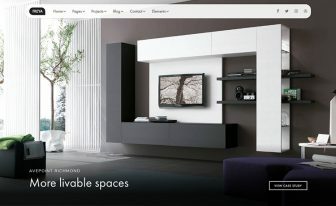 It is built with the best CSS Framework- Bootstrap and with the latest version of it. Also, it comes with eye catchy CSS3 animation and jQuery plugin. The color combination of John Doe is impressive and classy and just works great with the subtle design, which is perfect for your portfolio. The design does matter so do the usability. Free doesn’t mean crap. So the main focus on building this Free Template was a better usability along with a standard design. John Doe is a combination of these two most important things. You can check the live demo and decide for yourself. This Free Template is a one page portfolio template which will fulfill your every need. Check for yourself. A cool and classy template mean nothing if it’s not mobile friendly. Around 90% people browse the internet from their handheld devices nowadays. So if your site doesn’t work properly on their devices then why design a site? We thought of this and built John Doe with the mobile first design concept. We developed this template for mobile first and then for larger devices. So it is entirely responsive. JohnDoe – the free one-page portfolio website template has a responsive layout with the bootstrap grid system. It will fit well in your mobile phones and tablets along with desktop and laptop. Check out how Google is taking action on the non-responsive websites from 21st April, 2015. Check this out. All device resolution supported. We have checked by ourselves. A portfolio or resume website can be a multipage or single page. But why bother with a multipage site when you can show everything in a one page template? Nobody does that. Because single page site means the easy to use, less data, more speed. That’s why John Doe comes with one page concept. There are a lot of fresh section like about section, the project showcasing section, blog section, address section and social icons. What more do you need? SEO friendliness is another major criteria of any website. You have a website which doesn’t show up on search engine list is good for nothing. So you must have a site that is SEO friendly so that Google or Bing index your site in around first position. 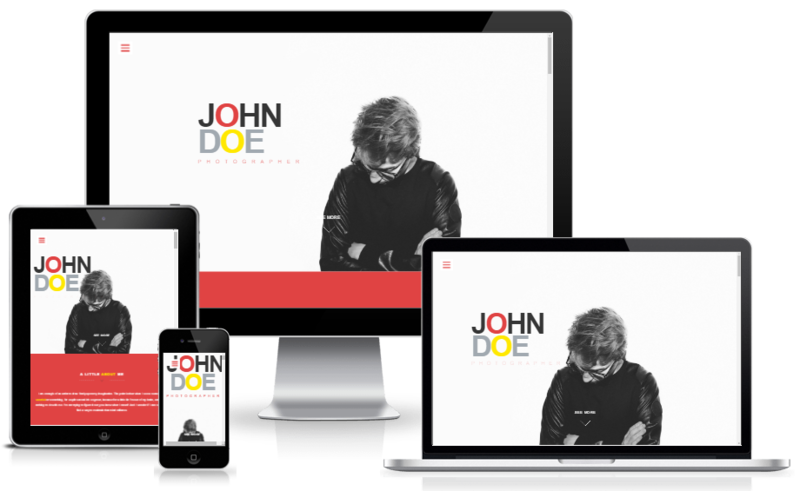 John Doe is an SEO friendly Free Responsive HTML5 template. Just replace the texts and images with your one and Google will surely rank your site. Why are we providing this template in the first place? So that, people who don’t have any developing skills but needing a site can create one all by themselves. No wasting time on learning web development and no money waste on hiring a developer. If you have no coding skill, it’s not a problem. You can customize John Doe and launch your website. John Doe has proper documentation. There is a meaningful comment on every section of the code, so you will know where to look and what to change. Still, if you face any problem, please contact us for support. But, if you have even a little bit knowledge of HTML5 and CSS3 you can redecorate John Doe and design it more the way you like. Over the years, John Doe is downloaded around 5000 times. It was a great pleasure for us to see you using this awesome template. 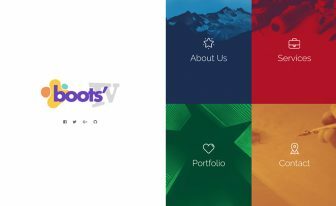 We humbly promise you to create more free & high-quality HTML5 Bootstrap CSS3 templates for you! If you like this Free One Page Portfolio Website template useful, please don’t forget to buy us a coffee! 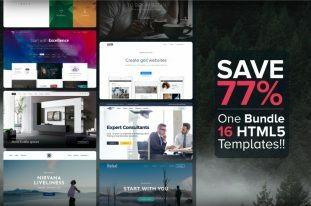 There are a lot of free responsive html5 website templates and responsive bootstrap themes in Themewagon. hello, why when i download and put my email adress i not get template in my inbox?? can u send me it please.. Sent it to your inbox. How to download this template? There is a form on the top right corner of the template page, give your email address there and click get download link button. Thank you for the reply Mr.Arif Kabir, and there is no form to fill. I have sent the download link to your email inbox. please check. Hi, I want to show video instead of images in my portfolio section. Is there any way to do this? Yes, you can. To do that, you have to add plugins and write CSS. There are other things to do. Find yourself. Thanks for the template but I can’t send messages using your contact form. How to improve it? I’m sorry to say this but, free templates usually do not contain a working contact form. 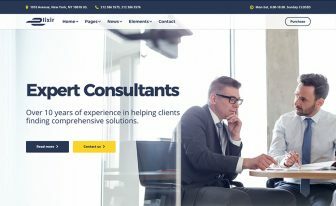 I’ll suggest you to hire a developer who can code that for you or simply go through the Premium Templates to buy one which is convenient for your project and also has a working contact form built-in. Why can’t i scroll this template with down arrow key using the keyboard ! It only works when I use the mouse . Is there anyway to improve this? As best of my knowledge this is a recent bug of Chrome. I hope it’ll be resolved soon. Hi, thank you for this nice template, I already bought a license. Unfortunately, though, the wrap menu isn’t working properly on mobiles: When opening the wrap menu and clicking a menu item it scrolls to the content (only one time). But when clicking a different item the wrap menu stays visible but no content is shown. I also sent you an email with screenshots. Could you please check/fix this? (see also “View Mobile Portrait 320×480”). Hi guys I need help on removing the JOHN DOE on the header? Please help me how to remove it. If i “buy author a cup” Can I delete the themewagon at the footer? Ok, so first step is buy de $5 plan or can i just donate 5? Should I download first or pay?